Dr Harish Gupta has a special interest in implants and occlusions. He has achieved Membership of the Royal College of Surgeons in both London and Edinburgh, and is a Fellow of the Royal College, London. He has recently gained a Master's Degree in Implant Dentistry from Warwick University. 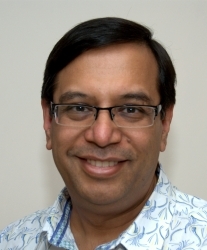 Dr Gupta is an FFGDP(UK) assessor at London and an Emeritus Examiner for MJDF. He is an Honorary Associate Clinical Professor at Warwick Dentistry and an examiner for the Diploma in Implant Dentistry at the Royal College in Edinburgh. Harish is an experienced mentor in treatment planning, placement and restoration of multiple implant systems. He qualified from Leeds 1982. Patients just beginning to think about dental implant treatment may find it helpful to attend a complimentary preliminary consultation with Dr Gupta. This appointment does not include a clinical examination and it only takes 15 minutes. The discussion will help you consider the options for treating your dental problems and decide whether to proceed to a clinical consultation for implants. The preliminary consultation is free of charge for visitors enquiring through this website. Please use the button in the right hand column to request an appointment. Once you have decided in principle that you want implant treatment, the next step is a clinical consultation. This includes a comprehensive oral examination, and results in production of a fully-costed individual plan for your treatment. The fee for the clinical assessment appointment and provision of your personal treatment plan will be discussed at the non-clinical consultation. Treatment planning, assessment and treatment of tooth wear cases and occlusion. Simple removable and fixed orthodontic treatments. Full range of prosthodontic services. Written referral preferred, with basic assessment of current periodontal health and caries experience. Relevant medical history presented. Implant coordinator will contact patient and arrange an appointment. Consent related to discussion sent to referring dentist (on request). On completion patient discharged back to referring dentist with relevant implant treatment details. Only treatment related to implant referral will be carried out and any remedial treatment to be identified for own/referring dentist to complete. Six Ways Dental Surgery is a well-established, modern multi-surgery practice with full dental hygienist support. Providing training and mentoring of all aspects of implant dentistry and advanced dental and cosmetic treatments. The practice is a University of Warwick Implant Training Centre for mentoring and supervised surgery, and is fully HTM 01-05 compliant.